This morning the Court of Appeal commenced hearing of the arguments in the appeal of the United National Congress to challenge the legality of the 2015 General Election. 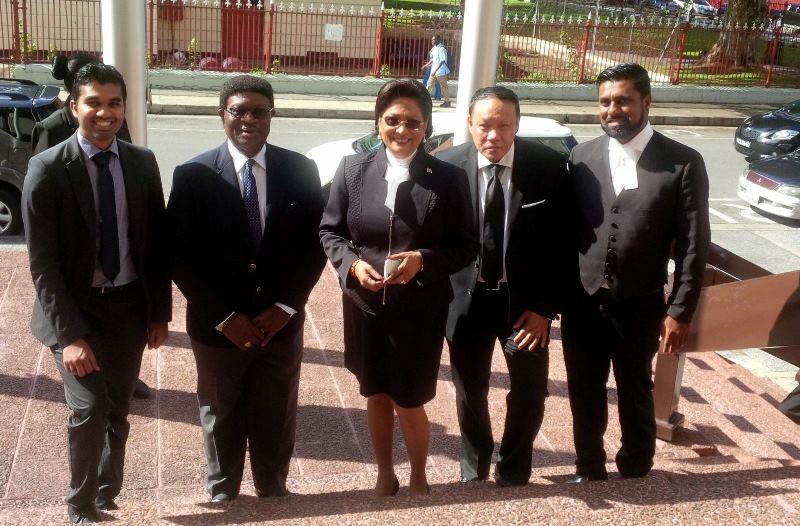 The Court of Appeal comprised Chief Justice Archie and Justices of Appeal Mendonca and Jamadar. This is a matter of great public and constitutional importance to all citizens of this country as it will determine whether the election held on 7th September 2015 was an election in accordance with the law and the Constitution. The issues that the Court is called upon to determine in this matter touch and concern the very principles upon which we exist as a sovereign democratic state governed by the rule of law. The United National Congress team is being led by Queen’s Counsel Timothy Straker as well as Mr. Anand Ramlogan SC and myself together with a number of experienced juniors. This matter has been listed for hearing over the next three days. Both the Elections and Boundaries Commission and the People’s National Movement have cross appealed and challenged the Judge’s ruling that the Election and Boundaries Commission had no power to extend the polling time for an additional hour. We are of the view that their cross appeal in this matter is doomed to fail. The Court of Appeal began the hearing with the Chief Justice indicating to all the parties that the Court was very familiar with the issues and there were certain questions that the Court wanted to ask the parties and hear their responses. Over the next three days the issues in this matter will be carefully advocated by the United National Congress before the Court and I am confident that victory will be ours.